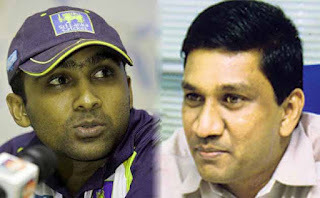 Asantha de Mel feels that Mahela Jayawardena should lead Sri Lanka team till the next Cricket World Cup in 2015. Chairman cricket selection committee Asantha de Mel feels that Mahela Jayawardena should lead Sri Lanka team till the next Cricket ICC World Cup in 2015.Asantha De Mel said “Our thinking was the same. Talking to Sri Lanka skipper Mahela Jayawardena and Kumar Sangakkara we feel that they are keen to play till the next World Cup 2015. We think that they both want to retire with the next World Cup. Best thing for Sri Lanka Cricket would be if Mahela could captain the country till the next World Cup 2015.